Harvard in Allston (Click to view a larger version.) The map shows projects under construction, some planned projects outlined in a 2013 master plan, and imminent changes to transportation infrastructure. As solutions to formidable challenges on the site fall into place, it is becoming possible to “think big” sooner. 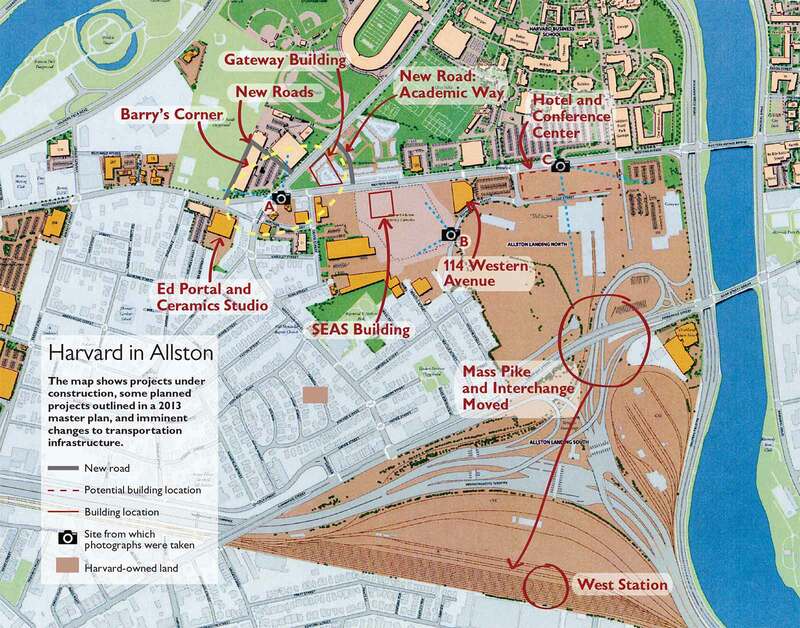 Ever since the late 1990s, when University planners realized Allston could be much more than a place for overflow from the increasingly space-constrained Cambridge campus (see “South by North Harvard,” September-October 1999), they have also recognized the significant hurdles to be overcome in order to build on the properties acquired there in the preceding decade. 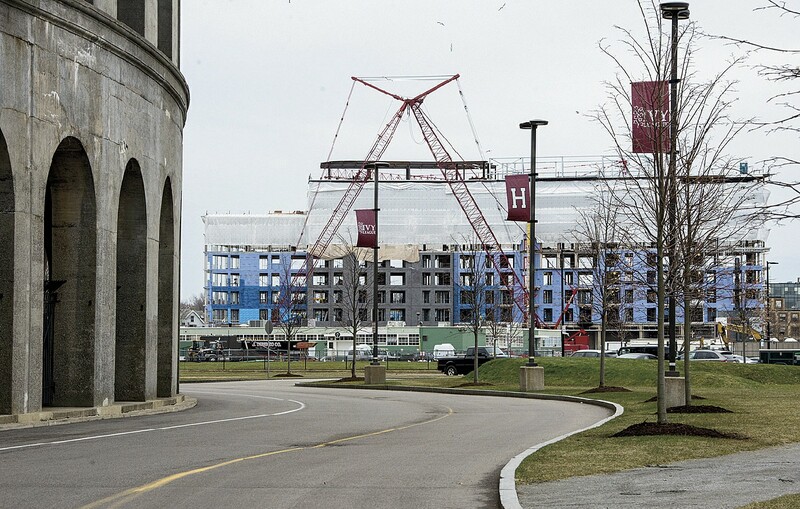 (For a condensed history, see “Building—and Buying—a Campus,” September-October 2011.) 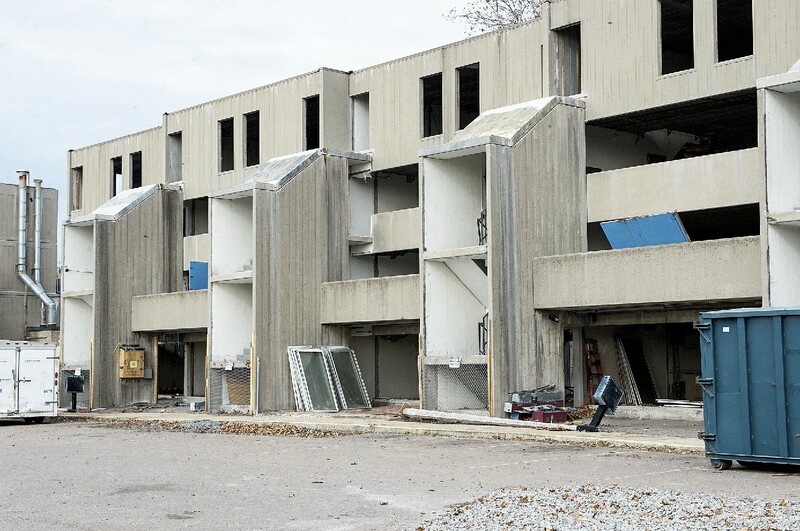 Charlesview, on a key site in the middle of Harvard’s holdings, was one such obstacle. 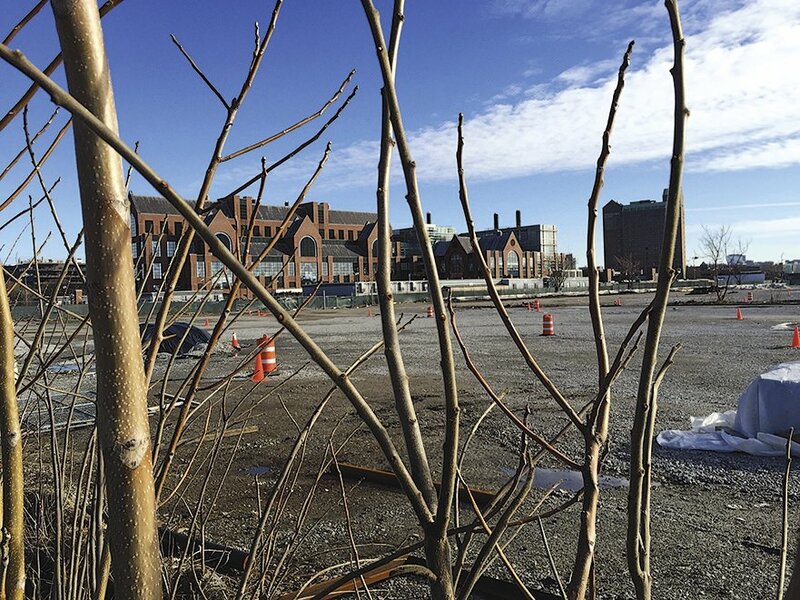 One of Harvard’s later acquisitions, an approximately 90-acre contaminated parcel owned by CSX, had remained encumbered with the company’s rights of way as it relocated its rail/truck container-transfer facilities to Worcester. 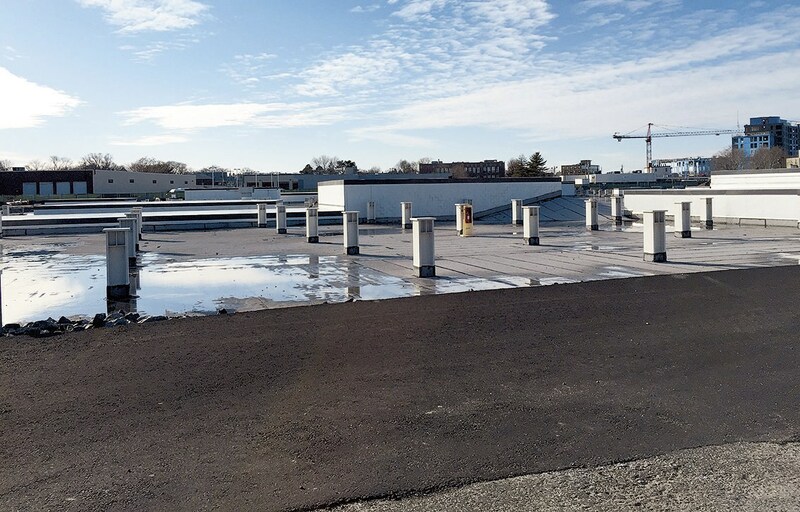 This site is also bisected by a Massachusetts Turnpike interchange, which contributes to traffic congestion where the exit ramp meets local roads at the Charles River. 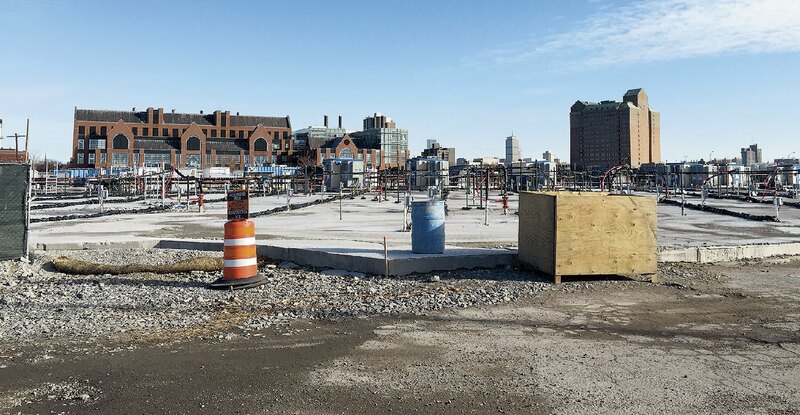 Now, the state plans to rebuild the intersection, enhancing local transportation—and opportunities for development of the site and land beyond. Lapp’s first order of business when she arrived in 2009, she recalled, was to fill the empty retail buildings Harvard had acquired. 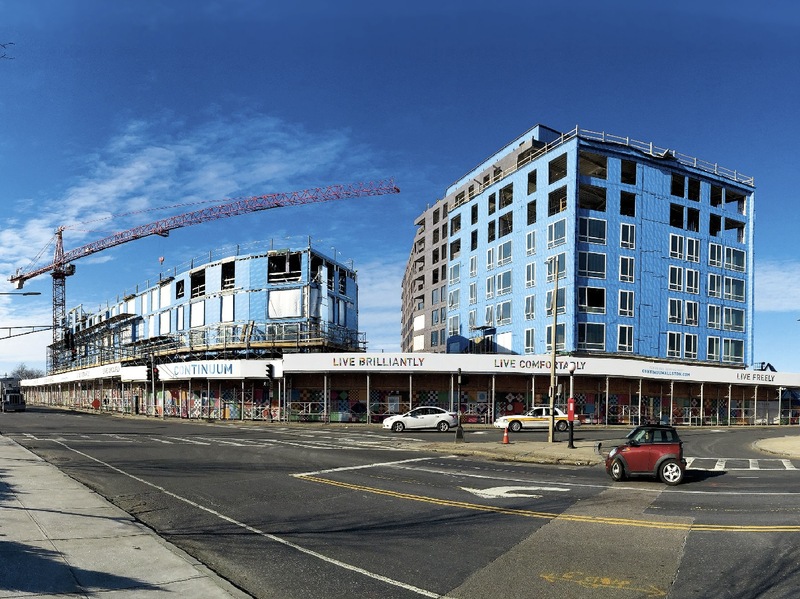 “We achieved that: 97 percent of all our rentable space is filled with active and vibrant uses,” including swissbäkers, Stone Hearth Pizza, and CrossFit Boston, she reported. “We also opened a new ceramics studio, at 224 Western Avenue,” that is actively used by faculty members, students, and the neighborhood community. The Ed Portal, a project that offers performances, workshops, and classes for adults, as well as scholarships, a summer-jobs program, and mentoring by Harvard student volunteers for local children, will reopen in larger quarters in the same building at a rededication February 21, she said. (President Drew Faust and Boston mayor Martin J. Walsh will officiate.) At Barry’s Corner, the University has added lights and benches to a grove of trees in front of the Charlesview site. And 114 Western Avenue, a conference building that will eventually be used by administrators at SEAS (whose new building will rise next door), is home to the new Launch Lab, occupied by alumni of the i-lab (University space for entrepreneurship—for more information, see harvardmag.com/hi-lab), who have moved on to the incubation phase, and are renting the space. Garber noted that the planning process for that building has led to extensive, productive discussions about the future of SEAS that have “implications for the entire University.” SEAS faculty members, working with architect Stefan Behnisch, have been thinking not only about lab and office configurations and “the kinds of services that they want to have,” said Garber, “but also about how teaching spaces might accommodate their aspirations for pedagogy,” whether in the classroom, the lab, or elsewhere. (For faculty perspectives on these design issues, see harvardmag.com/allston-15.) “We want to make sure the new building accommodates the needs” of current and future students, he continued.